Microsoft showed off its new Surface Studio all-in-one on Wednesday. More than just an iMac rip-off, the Surface Studio is focused squarely at artists and creative professionals. 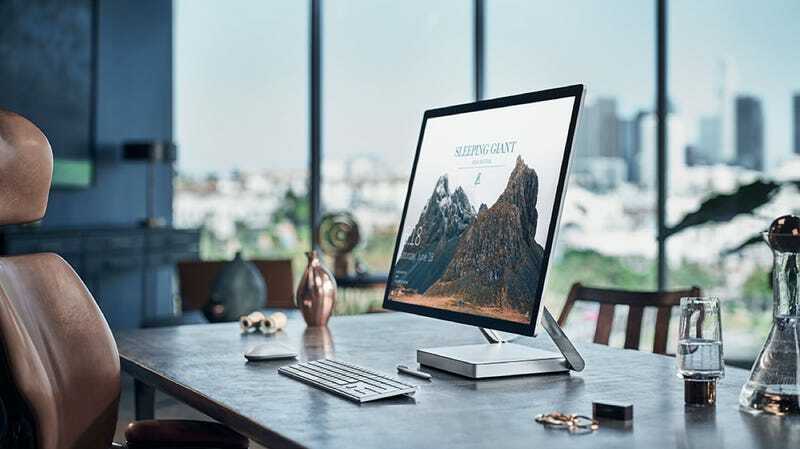 The centerpiece of the Surface Studio is a 28-inch high pixel density touch display that you can draw on. The adjustable hinge lets you fold the screen the screen down to a drafting table-like angle, so that you can draw directly on it with a Surface Pen. A separately available Surface Dial gives artists even more control over color selection and brush tools. You can preorder the Surface Studio now and limited quantities will start shipping in December.